The Trump Taj Mahal could be the latest in a string of Atlantic City casinos to shut down for good. 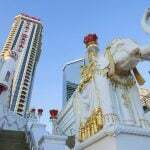 Parent company Trump Entertainment Resorts (TER) filed for bankruptcy this week, and says the Taj Mahal will join sister property the Trump Plaza, which is closing in just one week, with a possible November 13 closure as well. TER says that without some union salary cutbacks, the property cannot continue to operate beyond that date. “Absent expense reductions, particularly concessions from their unions, the debtors expect that the Taj Mahal will close on or shortly after November 13, 2014 and that all operating units will be terminated between November 13, 2014 and November 27, 2014,” said TER in its own petition filed with the US Bankruptcy Court in Wilmington, Delaware on Tuesday. TER noted that while its assets were little more than $50,000, the company’s liabilities stand somewhere between the $100 million and $500 million mark. Having skipped out on its quarterly tax payment that was due in August, TER now says it simply has no way to continue paying creditors with debts that will be due in September. 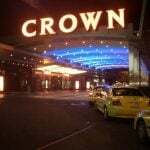 Meanwhile, critical online gambling alliances with Betfair and Ultimate Gaming are being severed by the Internet operators, who now want to find new land casinos to call home so that they can continue to operate, which is a regulatory must in New Jersey. Six thousand people have already lost their jobs following the closure of Revel, the Showboat, and, earlier in the year, the Atlantic Club, and this week hundreds of ex-casino workers waited in line to file for unemployment at an emergency session at the Atlantic City Convention Center. With the expected closure of the Trump Plaza in mid-September, Atlantic City could be looking at 8,000 people out of work, fuelling fears of the various social ills engendered by mass unemployment, such as a rising crime rate. Local 54 of Unite-HERE Union President Bob McDevitt was quick to blame TER and the Trump Taj Mahal for the failure, noting that the casino had not made good use of its $130 million in 2014 gaming intakes to date. “If our members were to work for minimum wage with no benefits, it wouldn’t be enough to keep this property in the hands of its current owners for a year,” McDevitt said. These are tough times for the company, which had apparently been trying to sell the Plaza for years before announcing its closure last month. Last year, TER tried to sell the property for $20 million to the Californian-based Meruelo Group. 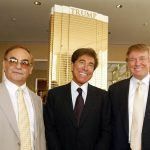 The deal fell through when Trump Entertainment was unable to get a release on its mortgage, with the senior lender refusing to approve the sale at such a low price. 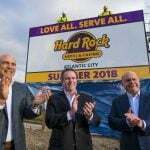 However, the company may have more luck finding a buyer for the Taj; while the Plaza has long been Atlantic City’s poorest performing casino, the Taj is a better prospect, with only a slight operating loss in the first six months of the year. 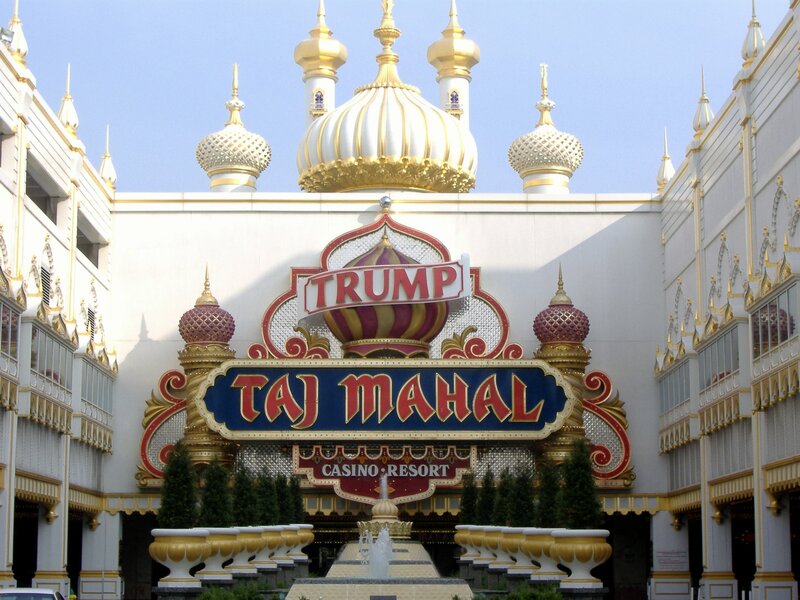 The Taj Mahal was the third casino to be acquired by Donald Trump during his Atlantic City empire-building of the 1980s. Trump bought the unfinished property from Resorts International for $230 million, and by the time it was completed in 1990, it had cost $1 billion to build. In 2009, Trump left the casino industry for good, retaining a 10 percent stake in Trump Entertainment, but taking no part in the operation of its two casinos. Last month he announced his attention to sue Trump Entertainment for the continued use of his name. Trump has said he was incensed at the way that his former company has managed the two remaining properties, complaining that it has allowed them to fall into “disrepair,” tarnishing the Trump brand name of which he is fiercely protective.